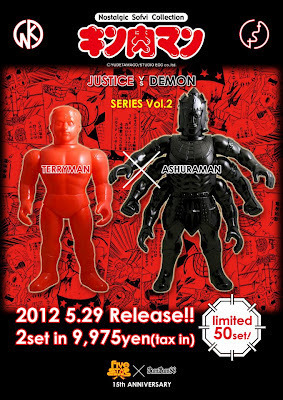 Kinnikuman vol 39 Cover Art Revealed ~ Akuma Choujin Attack! 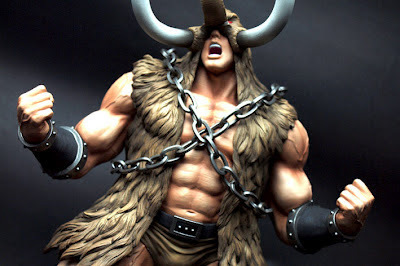 This has got to be one of the best Kinnikuman covers ever ~ absolutely iconic! 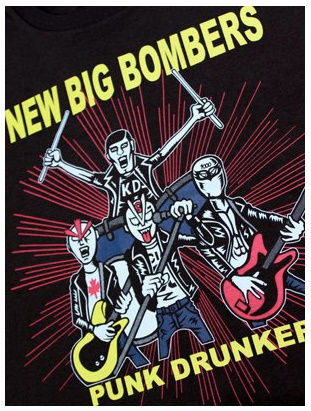 Not sure if they are going for a Ramones or Guitar Wolf homage here , but pretty cool either way ~ GO! 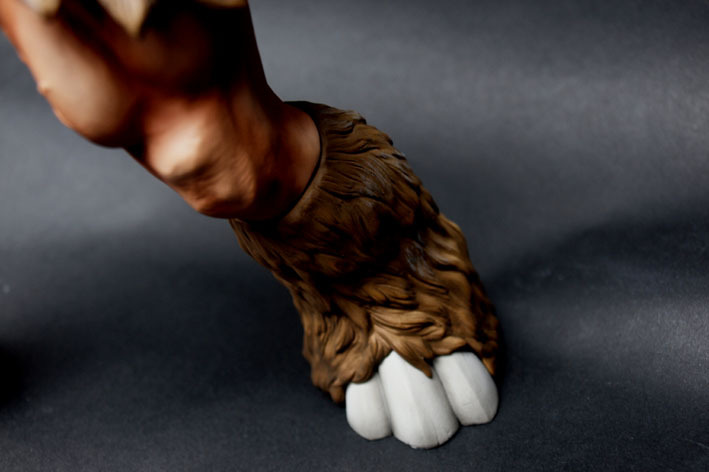 More details and pics over @ the official Medicom campaign page. The Ultimate Grade will cost you more than your monthly mortgage and car payment combined! You cannot make this stuff up. 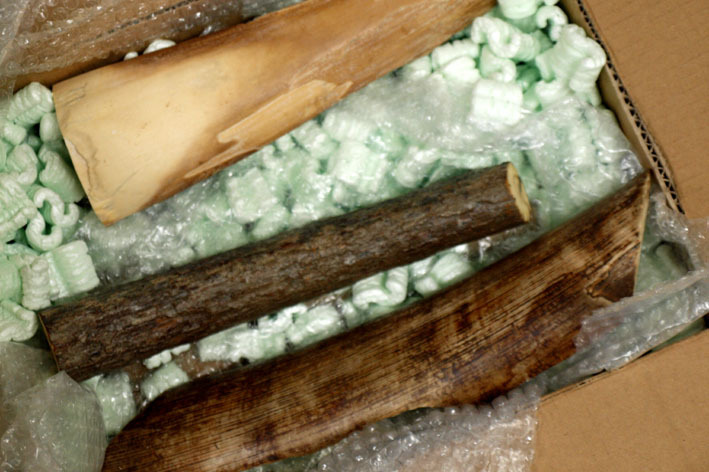 Apparently they imported the tusks from Russia... Only in Japan mates! More image over at CCP! 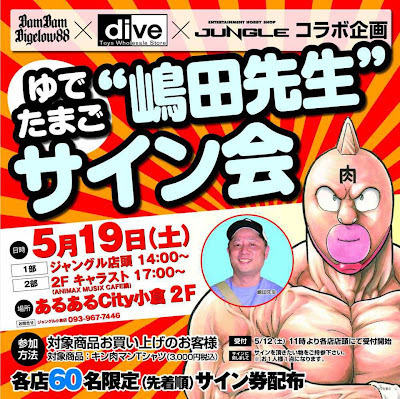 The 8th official Kinnikuman Day kicks off in Osaka next month on Friday, June 29th. The event is sponsored by the Shinsekai 100 Year Anniversary Kinnikuman Project, and touts perhaps the most impressive and exciting Kinnikuman celebration madness to date. 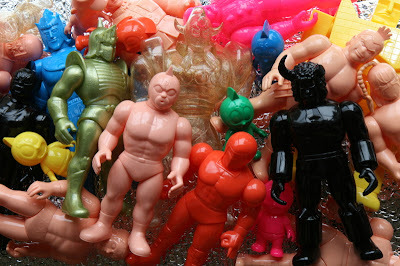 Five Star Toy is ratcheting up their Nostalgic Sofvi Collection production with the announcement of their new FST Collaboration Color Spectrum. 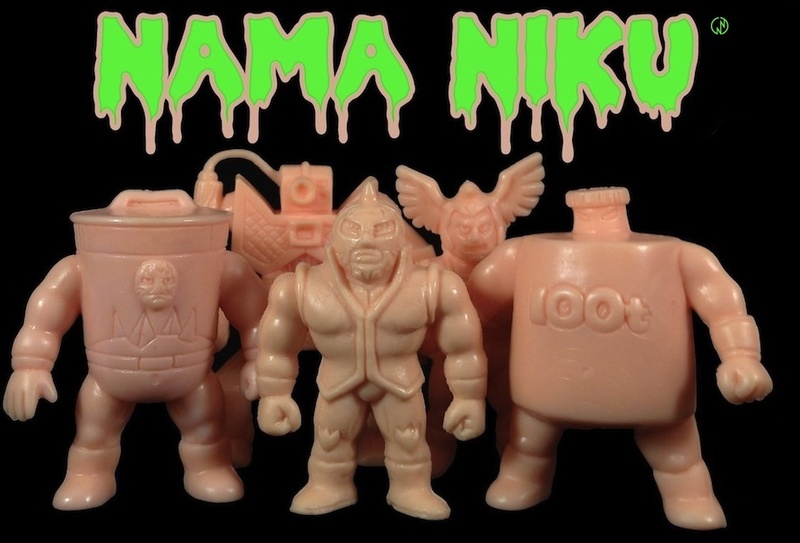 The shops listed below can now collaborate with Five Star to release blank sculpts from the existing Kinnikuman catalog in their own exclusive branded colorway. 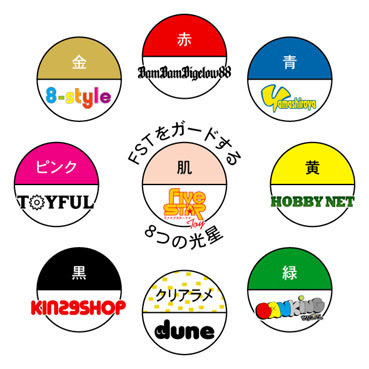 While stores like TOYFUL have been doing this for quite some time now, it is exciting to see other toy heavyweights like Hobby Net, Yamashiroya, and Ganking jumping into to the mix. 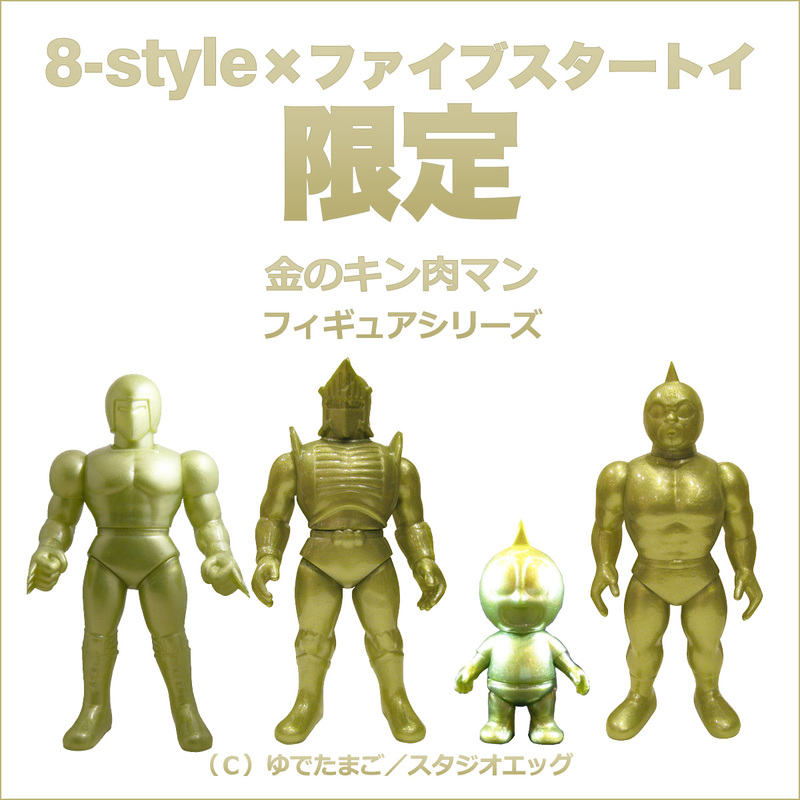 Ganking will ship overseas, so I cannot wait to see some slick green Kinnikuman vinyl on my shelf! 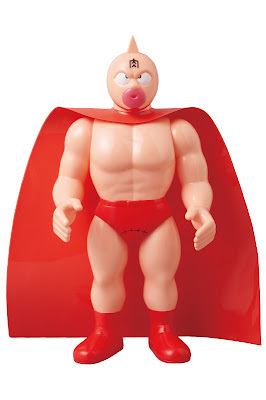 These tickets represent some of the greatest matches in Kinnikuman history, and are without a doubt some of my favorite collectibles to date. They are printed on very high quality paper, and even come complete with detachable ticket stubs. Each ticket honestly looks like it was issued for an actual Japanese wrestling event. No attention to detail was overlooked, with every important aspect of the historical matches being based on facts straight from the comic. Have a burning question about the Kinnikuman universe for Yudetamago? Now's your chance to ask! I wonder what their favorite M.U.S.C.L.E. color is??? To enter, simply email your question to Yudetamago @kinnikucomic39@gmail.com before 6:00PM JST on May 8th. 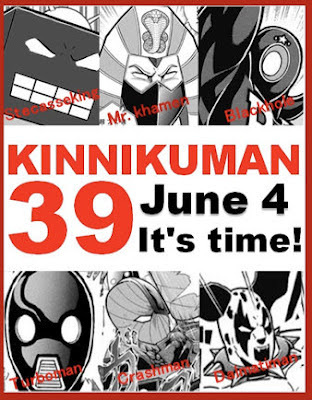 Winning questions will be answered and published in Kinnikuman vol 39! More details on Yudetamago's official website.